CELEBRATE GV PRIDE’S 12TH BIRTHDAY with us upstairs on level 1 at GV Hotel Shepparton (223 High Street)! From 6pm onwards we’ll be dining a la carte from the GV’s great bistro menu and having a few celebratory beverages all the while enjoying the tunes of Shepparton’s own Jake & Madz! We’ll chase that all down with FREE BIRTHDAY CUPCAKES FOR EVERYONE! Meals/drinks at restaurant prices on Sat 3rd June. 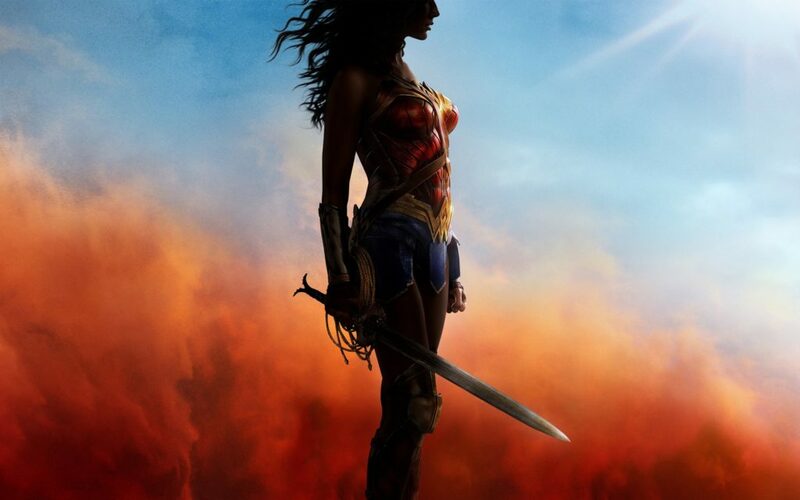 Then, we’re off to Village Cinema for WONDER WOMAN 2D! 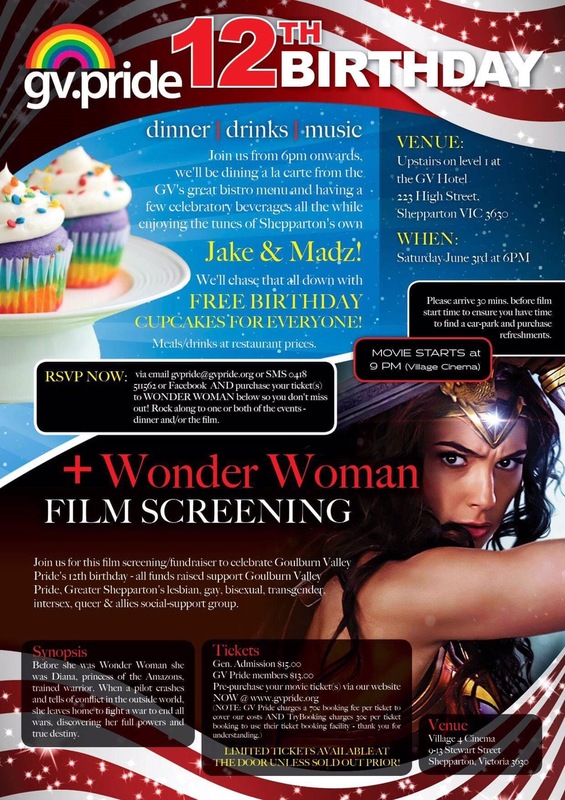 RSVP NOW via Facebook AND purchase your ticket(s) to WONDER WOMAN below so you don’t miss out! Rock along to one or both of the events – dinner and/or the film. 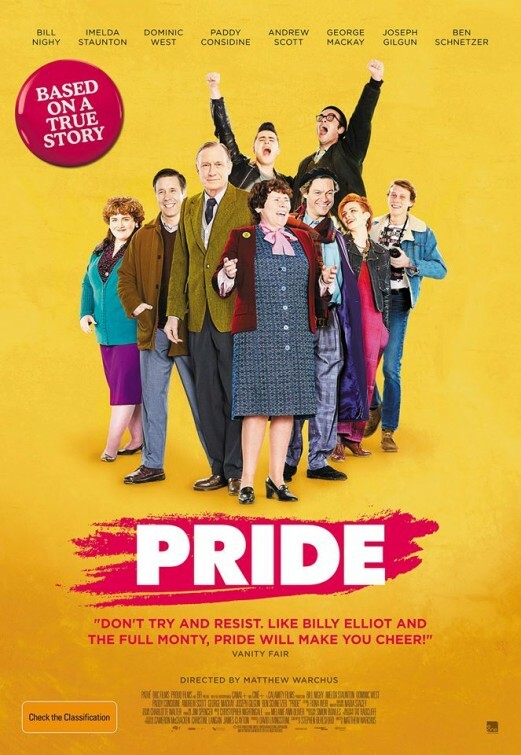 Join us for this film screening/fundraiser to celebrate Goulburn Valley Pride’s 12th birthday on Sat 3rd June – all funds raised support Goulburn Valley Pride, Greater Shepparton’s lesbian, gay, bisexual, transgender, intersex, queer & allies social-support group. Tickets – buy them here. Please arrive 30 mins. before film start time to ensure you have time to find a car-park and purchase refreshments. 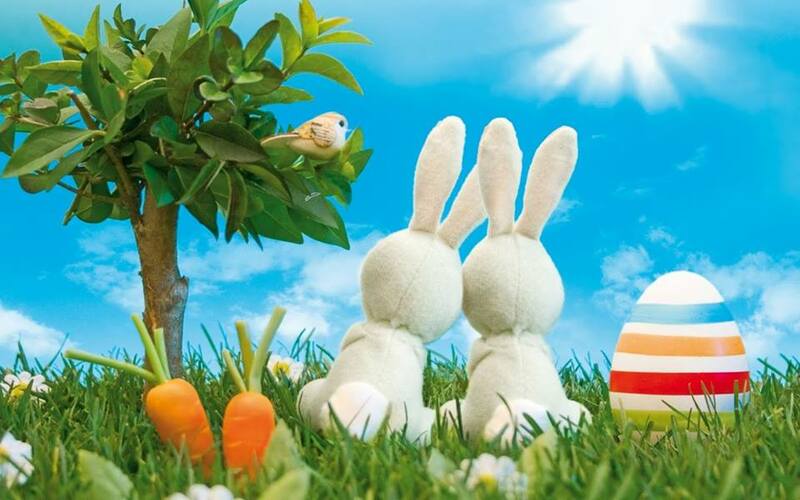 GV Pride members and friends alike are invited to ‘hop’ on down (like a bunny!) to Victoria Park Lake this Easter – ALL WELCOME! Meet us at the new BBQ pavilion on Wyndham Street (near the servo) – BYO steak or anything fancy, but in the spirit of peace & joy we’ll provide sausages, bread, sauce, soft-drinks and salads! You are invited to a very special screening of Freedom to Marry in Shepparton hosted by Australian Marriage Equality. The screening will be followed by a Q&A with Evan Wolfson, who was a key figure in securing marriage equality in the US and is featured in the film. Want to know a little more? The documentary follows the tense lead-up to the Supreme Court’s final decision and the main players involved: two lawyers (Evan Wolfson, the architect of the movement, and Mary Bonauto, a leading civil rights attorney) and two plaintiffs (April DeBoer and Jayne Rowse). It goes behind the scenes at the culmination of a decades-long fight and tracks the grassroots campaign for support. Where? Village Cinema, 9-13 Stewart Street, Shepparton. When? 8.30pm SHARP screening start time, Wed 15th March. We can’t wait to see you there for this special event! 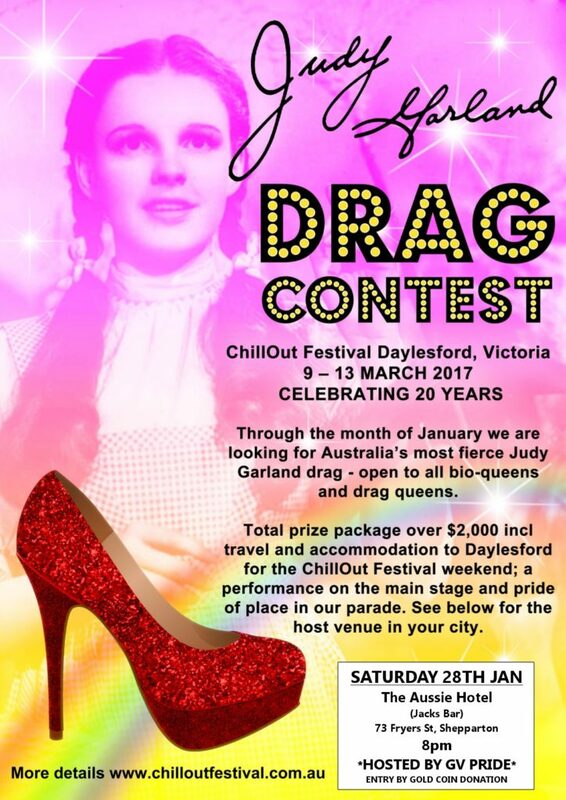 Introducing the ChillOut National Dorothy Gale (Judy Garland) Drag Comp. to be held in Shepparton @ The Aussie (Jack’s Bar) on Saturday night 28th January from 8pm – hosted by GV Pride! ChillOut is celebrating its 20th (Emerald) anniversary and is paying subtle homage to all things Wizard of Oz. 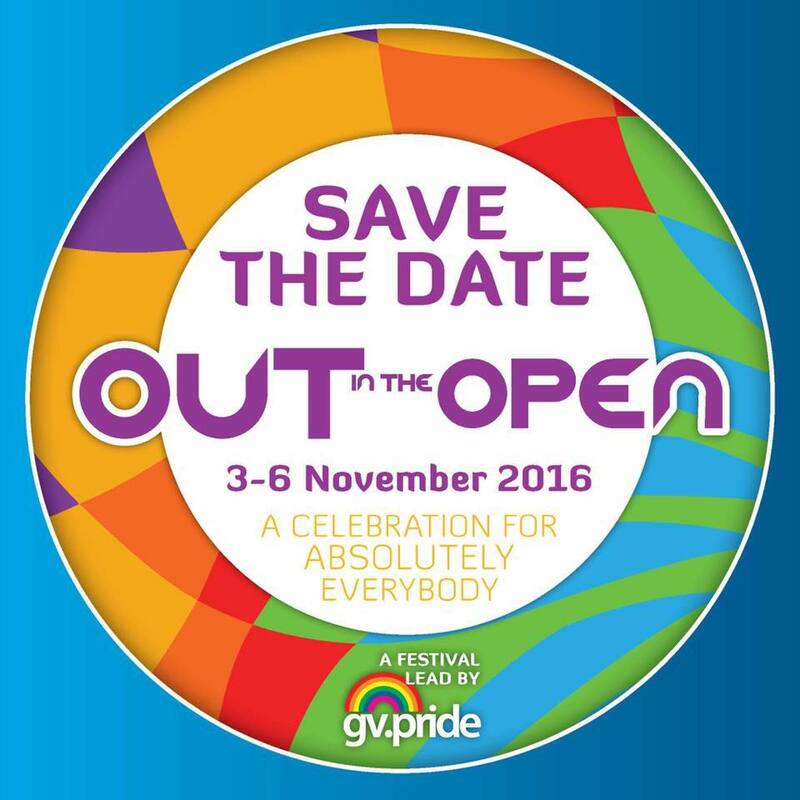 As part of the celebrations GV Pride are participating by hosting a state level Drag competition in partnership with ChillOut in January 2017. The online “final” featuring each state or territory winner will occur in the first 2 weeks of February. Who will take the crown? GV Pride will choose the best Judy Garland drag act in the area & provide video footage of the winning act for use on the ChillOut voting site! GOLD COIN ENTRY TO WATCH THE COMPETITION! Prize package for the overall winner to the value of $2,000 including travel and accommodation to Daylesford for ChillOut 2017. Winners will be expected to attend ChillOut and perform on a few occasions across the weekend. All expenses will be paid for. WOW! Contact Damien Stevens on 0418511562 to REGISTER NOW! Entrants MUST pre-register their interest by Fri 20 Jan.
Jump on the mini-buses departing 136 Maude Street, Shepparton on Sun 15 Jan @ 8.00am sharp (returns approx. 8pm). NOTE: Mini-bus for GV Pride members is only $15pp; FREE for “Diversity Group” young people – MUST confirm your seat NOW! Cash payment MUST be received BEFORE boarding the bus. 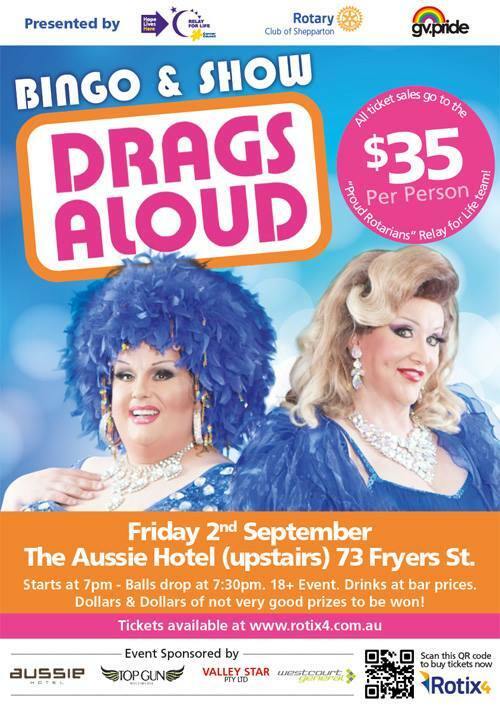 Contact Damien on gvpride@gvpride.org or 0418 511 562 to lock in your seat. Meet at 136 Maude Street, Shepparton, then travel to Melbourne & back by mini-bus. On 15 January 2017, Midsumma will transform the Alexandra Gardens (on the southern banks of the Yarra River) into the queerest party in town, and this is your invitation to attend along with an estimated 100,000+ queer-friendly people. Visit GV Pride’s stall & say ‘Hi’! Throughout the day, Carnival attendees can sit with a picnic, watch the hours of free entertainment running over multiple stages and activity spaces, cruise the crowd & so much more. On the grassy lawns of the Alexandra Gardens, Midsumma will host over 120 stalls, populated by varying food stalls, community groups, government agencies, liaison units and commercial businesses. Come along for a full day of FREE entertainment, excitement, glitz and colour as Midsumma Carnival brings to life the grassy parklands of Alexandra Gardens. 11.00am until 5.00pm. More info on Facebook. Click on the flyer above if you’d like to purchase tickets. If you’re keen to join our Relay for Life team, click here. 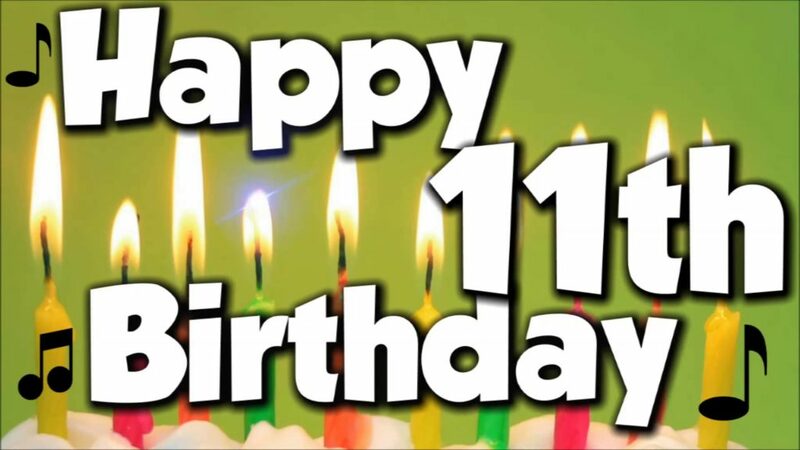 Meet for our 11th Birthday dinner @ Peppermill Inn (7900 GV Hwy, Shepparton) @ 6.30pm then stay for drinks and a chat if you wish! Don’t miss out! See you there! 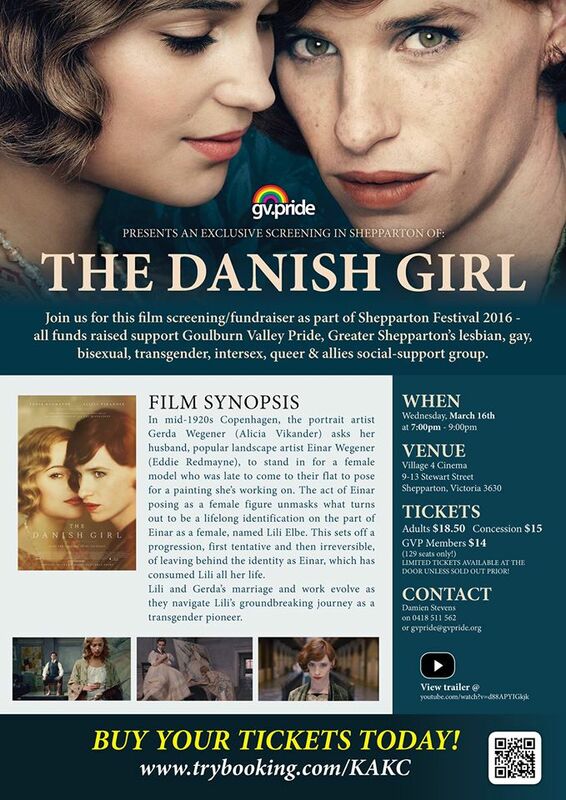 Join us for this film screening/fundraiser to celebrate IDAHOBIT 2016 (International Day Against HOmophobia, BIphobia & Transphobia) – all funds raised support Goulburn Valley Pride, Greater Shepparton’s lesbian, gay, bisexual, transgender, intersex, queer & allies social-support group. Synopsis: Its the summer of 1984 Margaret Thatcher is in power and the National Union of Mineworkers (NUM) is on strike. At the Gay Pride March in London, a group of gay and lesbian activists decides to raise money to support the families of the striking miners. But there is a problem. The Union seems embarrassed to receive their support. But the activists are not deterred. They decide to ignore the Union and go direct to the miners. They identify a mining village in deepest Wales and set off in a mini bus to make their donation in person. And so begins the extraordinary story of two seemingly alien communities who form a surprising and ultimately triumphant partnership. Please arrive 15 mins. before film start time to ensure you have time to find a car-park and the auditorium – enter via the front door of GOTAFE then walk through first building to rear building/auditorium (ground floor). Click here for tickets – we look forward to seeing you on 16th March!